Hey Tek-Ninjas! Yesterday, I posted about the Speech Case. 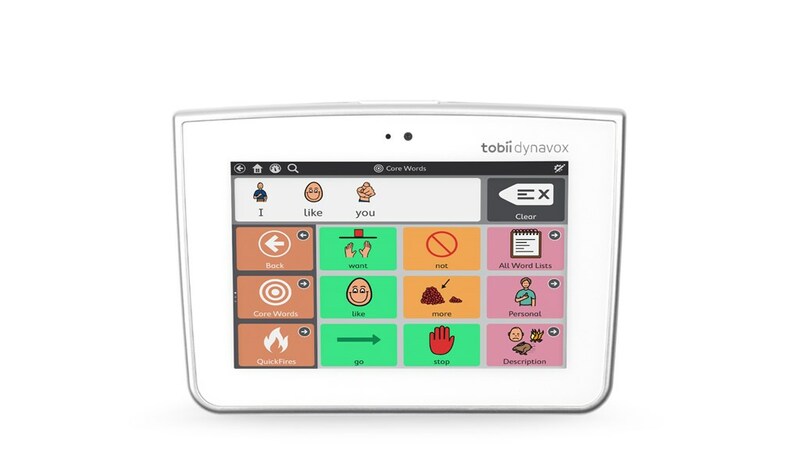 I wrote that I was super excited about some the new products coming from Tobii Dynavox. Well, there's another great device available now. 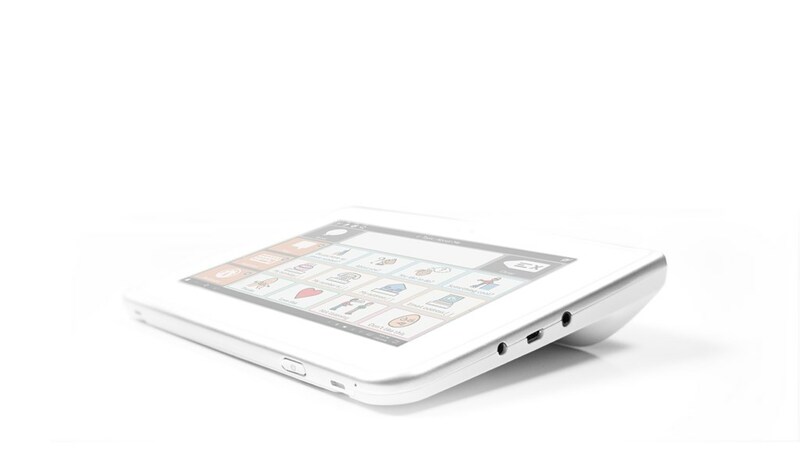 The Indi 7 is a mighty AAC device in a tiny package. It's "related to the Indi, which I wrote about a few months ago. Indi 7 comes complete with integrated, extra loud speakers, your choice of communication software, a whole ecosystem of support, and a 30-day money back guarantee for peace of mind. With a 7 inch screen, super loud and clear speakers, and Windows 10 OS, the Indi 7 fits nicely in your hand. Multiple access methods such as switch-scanning, head-mouse, and touch with keyguards, are all compatible with Indi 7. 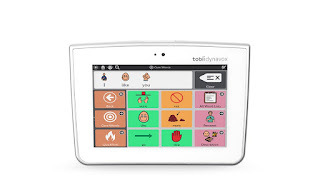 You can order Indi 7 directly from Tobii Dynavox and get it within days, all for an incredible price (with Communicator 5 AND Snap + Core First it is $1,699, and with JUST Snap + Core First, it is $999). And, unlike other off-the-shelf tablets, since Indi 7 is your all-in-one communication solution, you don’t have to worry about setting up different components or going to multiple sites for assistance – it’s all right there for you! Hey Tek-Ninjas! Tobii Dynavox has some new "Stuff" and I'm way stoked about it. 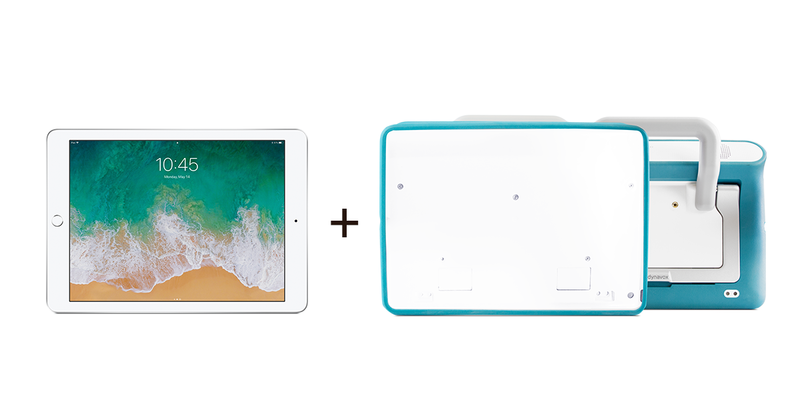 The Speech Case with iPad, is an iOS-based speech tablet designed for AAC with extra loud speakers, switch access, and the Snap + Core First communication app. This is a true AAC communication solution! With the specially designed case, built-in handle, and kickstand, mounting is also possible with pre-drilled screw holes for an external mount plate. The Speech Case offers unmatched sound from the integrated, outward-facing speakers means quality and clarity optimized for speech while also providing the loudest sound on the market. The Speech Case also offers multiple Access Methods like switch-scanning, touch, and touch with keyguards. What if you already have an iPad? Well, the Speech Case and Speech Case Pro can be purchased alone, or bundled with Snap + Core First. Speech Case is only compatible with 9.7" 5th and 6th generation iPad and the Speech Case Pro is only compatible with 12.9” 2nd generation iPad Pro. Pricing can be found on the website, but varies dependent on your configuration needs. BUT, if you are buying JUST the Speech Case, the 9.7 size retails for $399, and the 12.9 retails for $599.